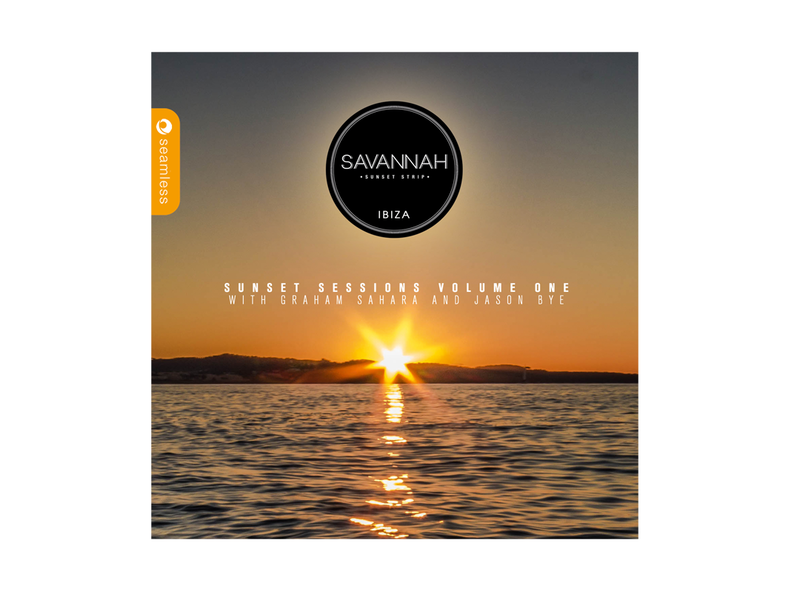 Savannah Ibiza presents the first volume of its Sunset Sessions series, mixed and compiled by Seamless head of A&R, Graham Sahara and longstanding Ibiza resident, Jason Bye. Landing on Seamless Recordings on 30 June, the two part album embodies the unique vibe of one of the best pre-party venues on Ibiza’s Sunset Strip. Savannah is located on the West Coast of Ibiza, only a mere stroll from the port of San Antonio and where you will find the Sunset Strip, arguably the most famous sunset view in the world. Now, countless clubbers enjoy stunning sunsets, as part of their ‘must see’ Ibiza itinerary. Established in 1997, the cool and the colourful on the island head to Savannah, knowing it also warms up as the sun starts its journey west; and when the evening cools, the party heats up, which is why Savannah is known as one of the best pre-party venues – rather like its big brother Cafe Mambo! Every Tuesday Seamless take over the decks for the ‘Sunset Sessions’ hosted by Seamless head honcho Graham Sahara and established Ibiza resident Jason Bye who give a taster of what to expect with this essential double compilation. Graham Sahara steps up to select and mix disc one, taking you on a trip from a lazy afternoon vibe through to a more thought-provoking and emotional sunset ambience, with a collection of tracks from some of his favourite artists including Chris Coco, Afterlife, Steen Thottrup, T_Mo and Bonobo. Graham is one of Ibiza Pacha’s longest standing residents, as well as holding well-loved residencies at KM5 and Bora Bora. The Seamless man’s musical links with Ibiza run deep, making him the perfect choice for the Sunset Sessions. Disc 2 sees Jason Bye take charge with his trademark funked up, cool house grooves. Jason Bye has Ibiza running through his veins; one of the first resident DJs at Cafe Mambo, he has since had a 4 year residency at Amnesia and 12 years at We Love Space. He was also the main room DJ for Home nightclub in Sydney and London for 3 years. In the spring of 2011 Jason developed the Ibiza 971 Club Radio show which has grown to an audience of 260,000 thousand people weekly. Jason Bye brings a true Ibiza vibe to his mix, with his own productions, as well as stylish numbers from the likes of Stefano Esposito, Deep Future, Diego Krause and Soul Groove – not to be missed!